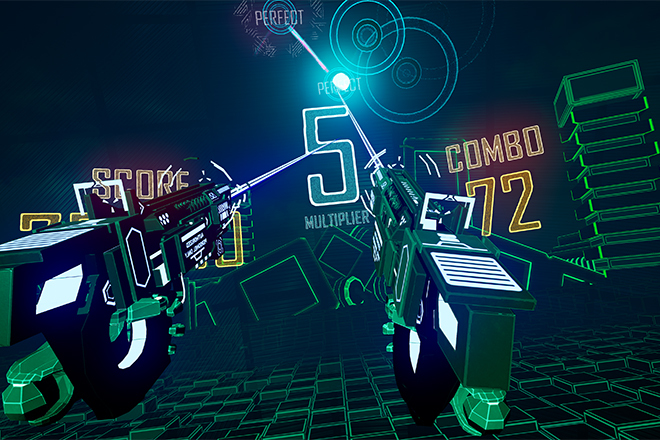 Circuit Slinger is a VR rhythm game where players purge corrupted code to a beat. 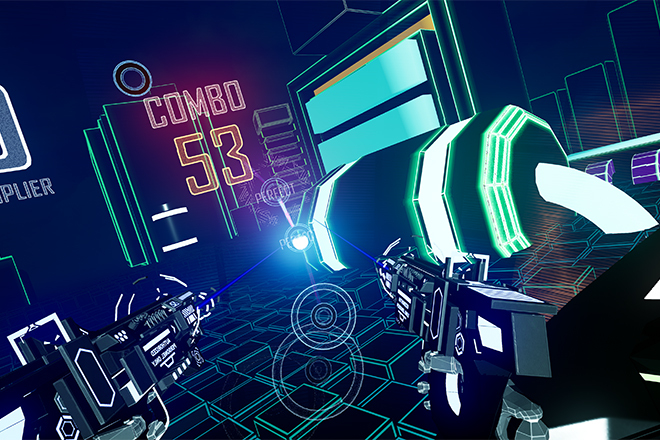 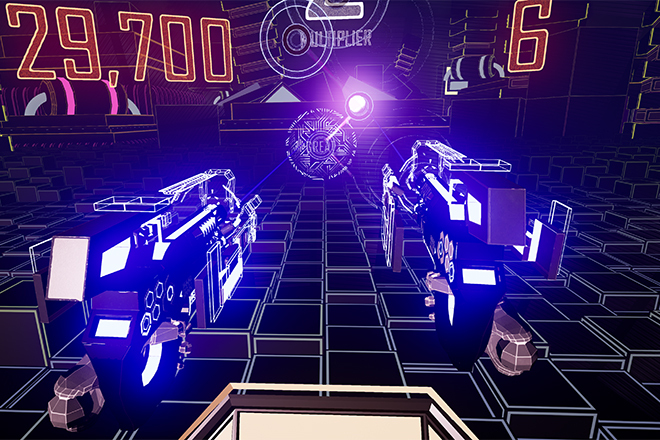 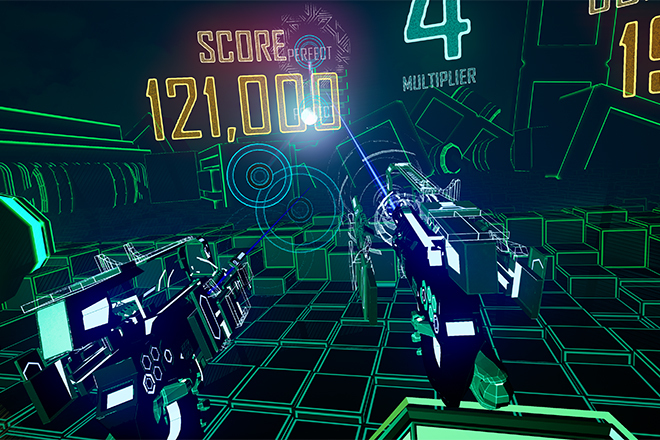 Grab a pair of guns and shoot your way through six levels of heart-pounding electronic music! 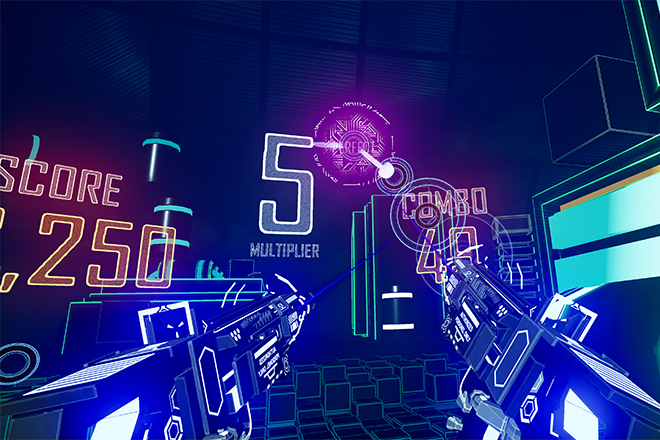 Developed by MioMax, a team of 10 SMU Guildhall students over the course of one semester, Circuit Slinger represents the culmination of two years spent in game development.